Gelsenkirchen — Eintracht Frankfurt face FC Schalke 04 on Wednesday looking for a first win in Gelsenkirchen this millenium while the hosts reach a Bundesliga milestone (kick-off 20:00 CEST/18:00 GMT). The game marks Schalke's 1,600th in the Bundesliga, their 800th at home.Frankfurt are unbeaten in four games following the defeat in Wolfsburg on Matchday 1. 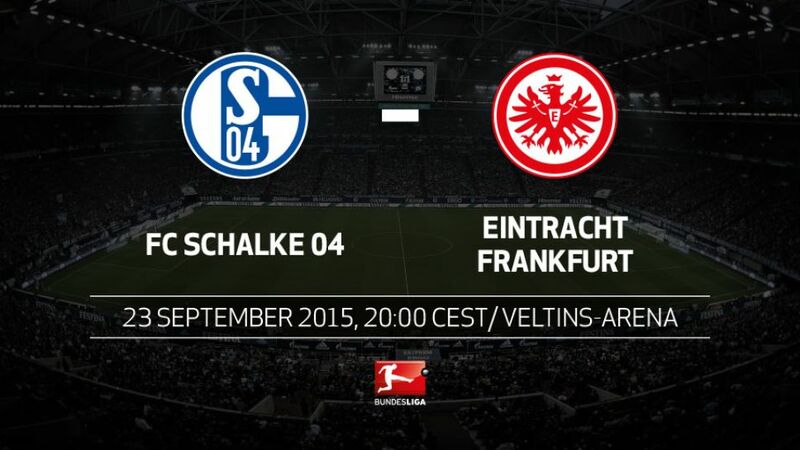 At no stage last season did they go five matches unbeaten.Frankfurt have not won in 12 visits to Gelsenkirchen. Their last win came on 22 May 1999 when they came back from 2-0 down to run out 3-2 winners.Frankfurt's 0-0 draw in Hamburg on Matchday 5 was the first time they had failed to score in a Bundesliga game this season.Frankfurt coach Armin Veh has kept the same starting line-up for the last two games, the first time he has played the same 11 from the start in back-to-back matches this season.